Woodsies 300-Count Jumbo Craft Sticks are great for use in classroom projects, party crafts, and camp crafts. 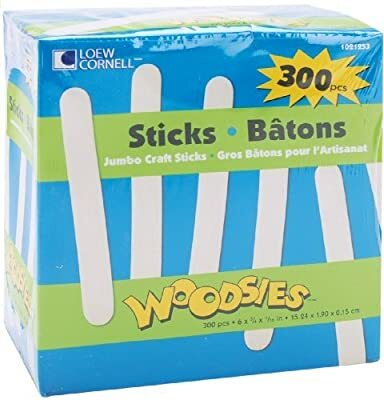 Jumbo Craft Sticks measure 6 by 3/4 inches and are natural raw wood. 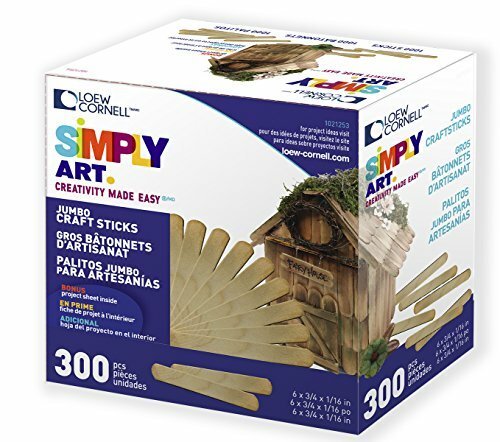 Ideal for Crafters, Teachers, and Students. Made of Birch wood, non food safe.